Greybrook Realty Partners Inc. announced today the successful closing of an equity investment by its managed issuer of $14,385,000 to acquire and oversee the development of a prime parcel of land located in Thornhill, Ontario. 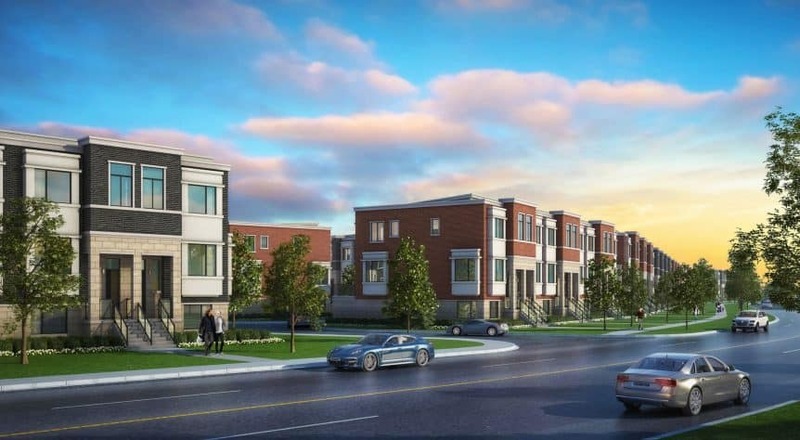 Together with its developer partner, Treasure Hill, the firm will develop the property into a residential community consisting of over 100 freehold townhomes. Located north of Toronto in the rapidly growing Regional Municipality of York is the suburban neighbourhood of Thornhill situated in the established City of Vaughan. Vaughan is the 17th-largest municipality in Canada and has outpaced both provincial and national growth rates, achieving a 6.2 percent increase in population between 2011 and 2016 according to Statistics Canada. The 5.5-acre Thornhill development site is located on the south-east corner of Crimson Forest Drive and Marc Santi Boulevard and is a 15-minute drive from the future site of the Vaughan Metropolitan Centre (VMC), the largest and most significant project in the city’s history. The VMC is expected to consist of over 1.5 million square feet of commercial office space, 750,000 square feet of retail and 12,000 residential units. The VMC will redefine downtown Vaughan, and the VMC Mobility Hub is expected to provide VIVA, TTC, and GO Transit connections for more than 20,000 commuters daily. Read the full press release on Globe Newswire.